Crack addiction is a complex disease, and there is no “right answer” when it comes to treatment. Because of the multiple aspects of crack addiction, there are many different treatment options that seek to address all of the problems associated with crack abuse (social, behavioral, and physical). Can Crack Abuse and Addiction Be Treated? Fortunately, all three of these aspects of crack addiction (social, behavioral, and physical) can be treated with a combination of different therapies. These, and similar other therapeutic options, often involve a licensed counselor and occur on either an outpatient or inpatient basis, depending upon the circumstances. One behavioral therapy that has shown promise with crack addiction is contingency management (CM), which involves receiving a voucher for clean drug tests that is redeemable for valued goods or services. Be vulnerable to severe health risks. Live in social environments that can trigger relapse. Crack users also tend to have low treatment retention and CM can help improve treatment compliance by offering a tangible reward. Since crack addiction is often a family disease, family-centered therapies can be effective at addressing issues and repairing relationships among family members. Find Help Today No one deserves to suffer the effects of crack addiction. Find a treatment center and begin your recovery journey today. Deciding whether you need crack addiction treatment is not the easiest task, as there are many questions you can ask yourself that might shed light onto the severity of your crack addiction. The simple answer is that no amount of crack is safe to consume, so if you are using crack at all, then addiction treatment is likely right for you. Your work or home life has been disrupted due to your crack use or you are having family problems, then it may be time to seek treatment. You feel a compulsion to use crack or spend the vast majority of your time seeking crack. You have a co-occurring mental illness. Your crack detox process will be monitored closely. Medications may be given to ease your withdrawal symptoms. One potential obstacle to seeking residential treatment is the cost: it can be quite expensive to attend one of these centers. Also, many centers do not allow you to leave to continue going to work during treatment which can, in some instances, exacerbate an already dicey financial situation. Inpatient treatment covers baseline residential treatment, luxury/private treatment, and executive treatment options. As described above, all of these options are live-in centers that provide comprehensive care for all of you crack addiction needs. Luxury/private rehab is more expensive than normal residential treatment, but it has more amenities (similar to those of a resort) than residential treatment. Executive rehab tends to run even more expensive than luxury/private rehab, but caters to executive and celebrity clients that require the utmost discretion in their treatment. Many inpatient centers provide access to medical supervision, which is one of the main advantages of inpatient treatment (it eases the withdrawal process to have access to medications during this uncomfortable time). However, outpatient care is available and may be a better option for some crack addicts. Depending on financial and family situations, outpatient care may be the only option for some, and that is okay. Outpatient care may actually include a brief inpatient stay during detox, followed by a transition to outpatient counseling and therapy. Outpatient treatment is often much cheaper than inpatient treatment. Unfortunately, there is no FDA-approved medication to treat crack addiction (although many are being researched currently, both novel drugs and drugs already on the market for other diseases). However, there are medications that may help ease the symptoms of crack withdrawal. For example, depression and anxiety are symptoms of crack withdrawal, which can be combated with short-term antidepressants and anxiolytics. Although crack users report less heavy drinking episodes than cocaine users, they tend to report using cocaine more frequently and also demonstrate higher levels of dependence. This implies that medically assisted treatment for crack users should address multiple complications and higher severity. The risk of overdose, therefore, is ever present after treatment, because pre-treatment levels of crack (with heroin or benzodiazepines) could lead to overdose without the presence of the sedating drugs. Epidemiological studies have also demonstrated the risk of contracting blood borne diseases like HIV in crack users due to sexual risk taking behaviors and living situations with a high prevalence of infection. Medical treatment for crack dependence must address adjunct complications of crack use. Topiramate was recently evaluated in conjunction with CBT amongst a cohort of crack users in the Netherlands. Effectiveness of topiramate in reducing craving and cocaine use was considerably lower than CBT. Medication compliance of topiramate was also very low. Cognitive behavioral therapy (CBT) and motivational interviewing are two therapies that are often effective in crack addiction. CBT is a method that works to change the way the patient thinks and acts, especially in response to stressful situations (without the use of crack). 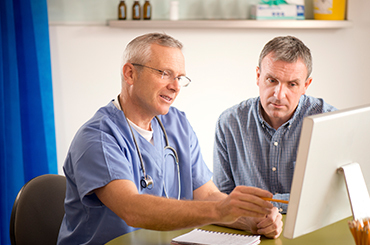 CBT is typically presented in a one-on-one clinic setting with a therapist; however, other delivery options are available. Prolonged crack use severely disrupts mood; while antidepressants can provide relief, research shows that strengthening the therapeutic relationship through individual counseling modalities can improve long-term outcomes. Due to a lack of approved pharmacological treatments, CBT continues to be a first line of treatment for crack addiction and has shown higher efficacy than some medications in research, like modafinil and topiramate. CBT and relapse prevention psychotherapy can improve mood disturbances and depressive tendencies amongst cocaine users with mood disorders. CBT has also demonstrated a reduction in crack use amongst heroin abusing crack users. Motivational interviewing is another technique used to help crack addiction. Different from CBT, motivational interviewing is an interviewing technique that helps the patient realize his/her own internal motivations to change the crack-using behavior. Contingency management is another tool used for crack addiction, which involves receiving vouchers for goods and services for clean drug tests. A combination of all of these therapies is likely most effective. CM was found to increase the likelihood of providing drug free urine samples amongst cocaine users with depression. While treatment effectiveness between cocaine and crack users should not be generalized, this certainly proves that CM may be effective in promoting positive behaviors in recovery. Partial hospitalization treatment is an option for crack addicts that are between inpatient and outpatient treatments. It is also called “day treatment,” which means that patients spend several hours per day (usually those that are most difficult for the patient to maintain abstinence) at the treatment center. This option provides the structure of inpatient treatment, without the strictness of living in the facility. Partial hospitalizations are often accompanied by intensive outpatient treatment, including therapy and counseling. Youth with a history of crack cocaine use had higher psychiatric comorbidity, particularly for post-traumatic stress disorder, suicidal ideation and antisocial tendencies. The prevalence of concurrent drug use was also heightened, particularly for alcohol, marijuana, inhalant and amphetamine use. The prevalence of post-traumatic stress may be due to childhood trauma, a factor that has been found to be highly prevalent amongst crack users. Some research indicates that traumatic experiences in childhood may affect crack users’ executive functioning, preventing them from coping with difficulties in a positive manner. Dual diagnosis situations complicate treatment slightly, as the underlying mental health issue must also be dealt with during treatment. You should expect your medical team to stabilize your mental health condition, and then refer you to a therapist that may even prescribe medications that help with the symptoms of these mental illnesses. With some help and support from a treatment specialist, you can be confident in your decision about your crack addiction treatment. Choosing the best crack addiction treatment is challenging; however, with some help and support from a treatment specialist, you can be confident in your decision about your crack addiction treatment. Cost of the treatment program. Availability of medical support for detox and withdrawal treatment. Ability to manage dual-diagnosis cases. Aftercare and relapse prevention strategies employed by the program. Success rates and effectiveness of the program. Ability to provide supportive care for communicable diseases such as HIV, or other serious medical issues. It can be overwhelming to consider different options, especially if you are stressed out because of your struggle with addiction, or want to help someone you love overcome their struggle with crack addiction. A treatment support specialist is available to help you consider the options that best suit your needs. Please call 1-888-993-3112Who Answers? today. Phillips, K. A., Epstein, D. H., & Preston, K. L. (2014). Psychostimulant addiction treatment. Neuropharmacology, 87, pp. 150-160. Tapp, A., Wood, A. E., Kennedy, A., Sylvers, P., Kilzieh, N., & Saxon, A. J. (2015). Quetiapine for the treatment of cocaine use disorder. Drug and Alcohol Dependence, 149, pp. 18-24.